We are going to ship packages! Still we have few packages, please do not miss it! When they were “Sold Out”, just ask us until the night of 31st of Oct. Of course in Japanese time. Still we have a chance to obtain. In a brown pouch, we found a small box! We can not ship to you due to the postal regulations. 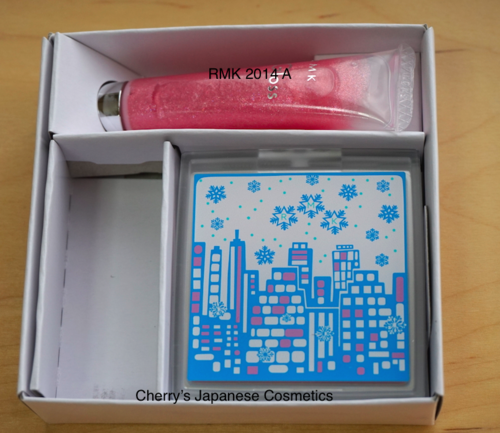 Few days ago, I (Cherry) went to a counter of Albion to pick my Albion Excia AL Whitening Extra Rich Milk SV. BCs were not pretty much busy, I could ask one of them to told me the makeup on the mode. 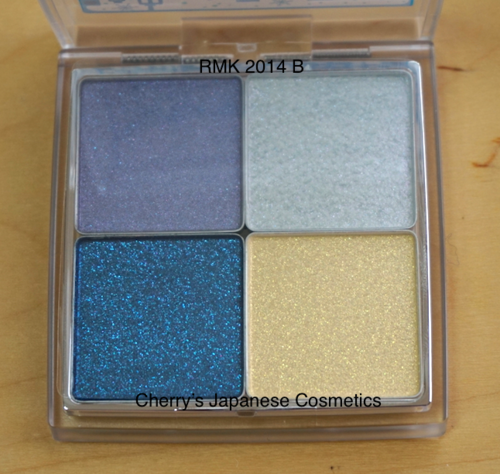 She used Elegance Cruise eyeshadows: SO01, M08, and N10, as I remember. Seeing what she did, I arranged from what I have now. 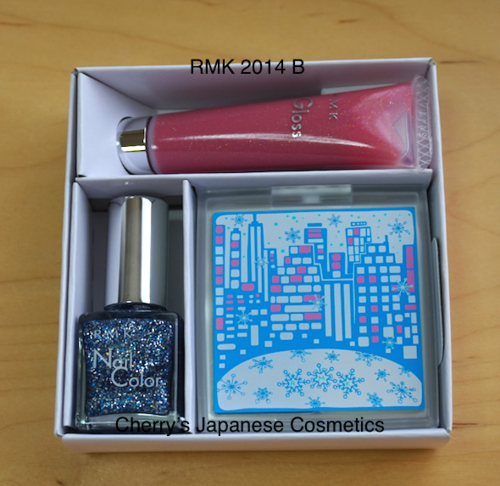 I used RMK 2014 B, Christmas Makeup Coffet (kit). Let me show you on my arm. I drawn my eye by Coffret Do’r Eyeliner Super Sharp. I designed left is nose. I applied the gold color (look like yellow on the palette) whole of my eyehole. Can you see blue-purple on the left above of the palette? 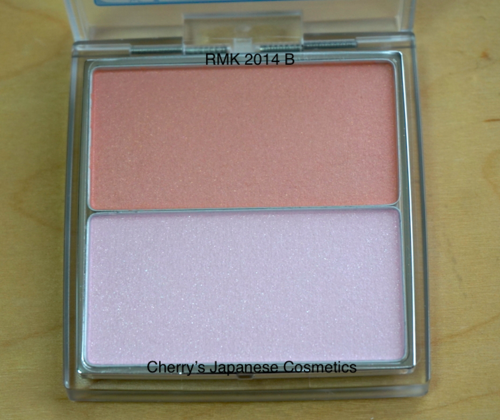 I put this color on the left (nose side). Face line side is the dark blue. Just point it by my brush. I used the blue-purple and the white (it is bluish white) to smudge the edges of 2 blue colors. And I applied the white on my under eye to hide my darker under eye. She used black eyeliner, but in this time, I drawn “eye” by black eyeliner. I applied THREE’s blue eyeliner (limited and sold our) to emphasis what she did. Yes, she drawn a line only at the end of my eyelid! It was really interesting for me. 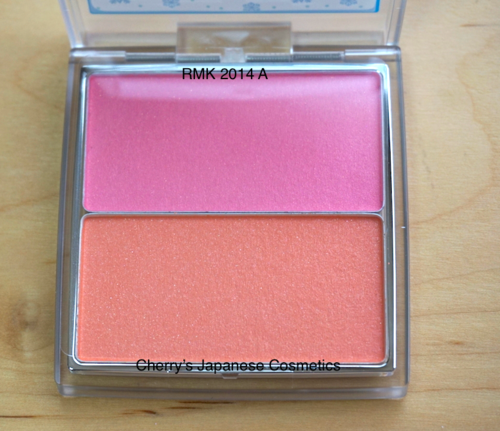 If you are a big fan of Japanese makeups, you may know we, Japanese often make a gradation by horizontal. I know in the States, you often draw gradation by vertical don’t you? I don’t know the reason why the difference. 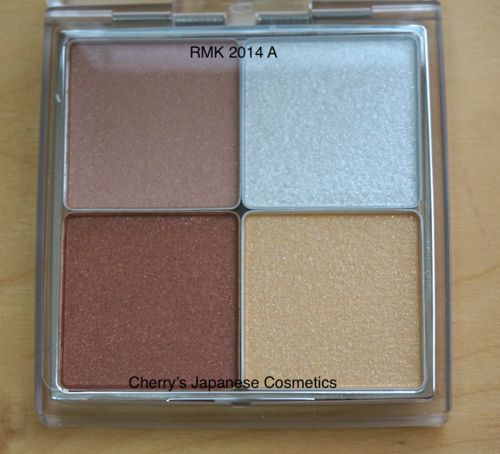 If you remember what I did when I just bought this palette: Personal Review of RMK B 2014, I change horizontal and vertical as the colors what I wanna use.